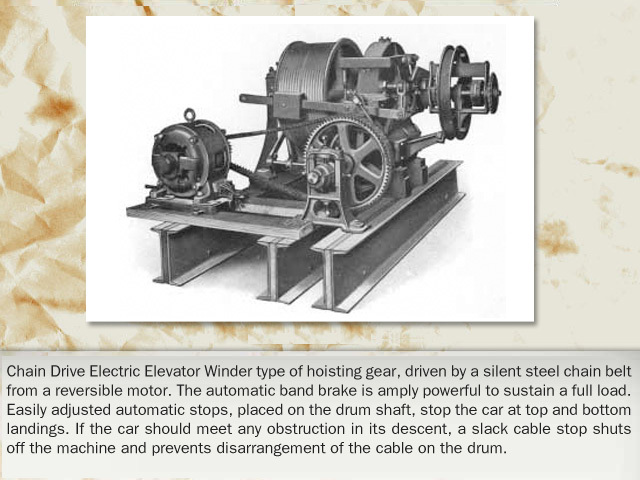 Many building owners had incurred considerable expense in developing the reduction gearing and associated elevator equipment being driven by on-site steam or gas power plants. 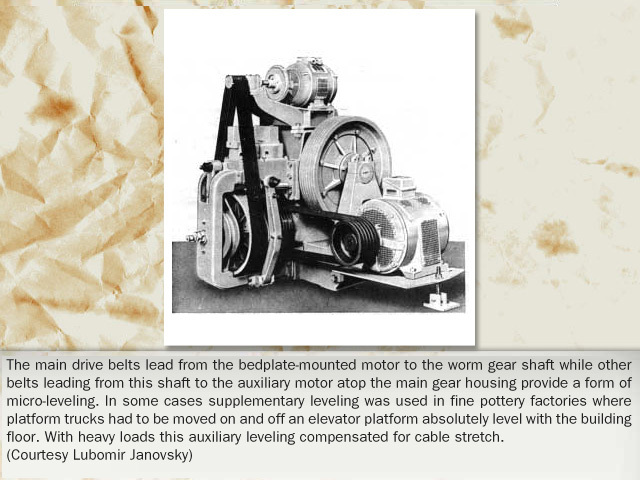 Even as power lines brought the electric current to their buildings, many owners resolved to utilize as much of their mechanical equipment as possible. 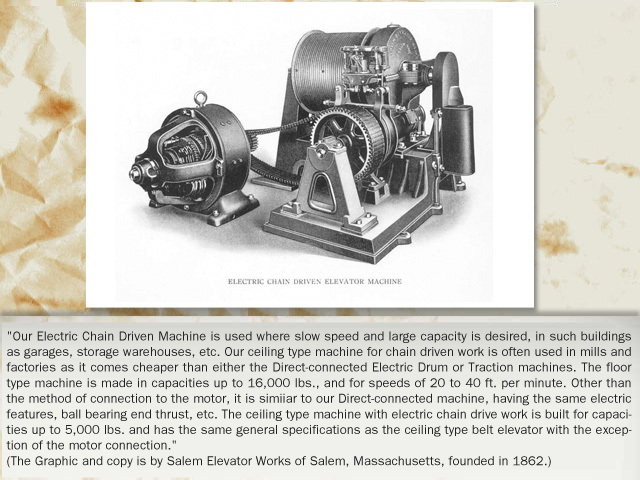 An early use of electric motors, therefore, was merely to replace the old work horses -- the steam and gas engines. 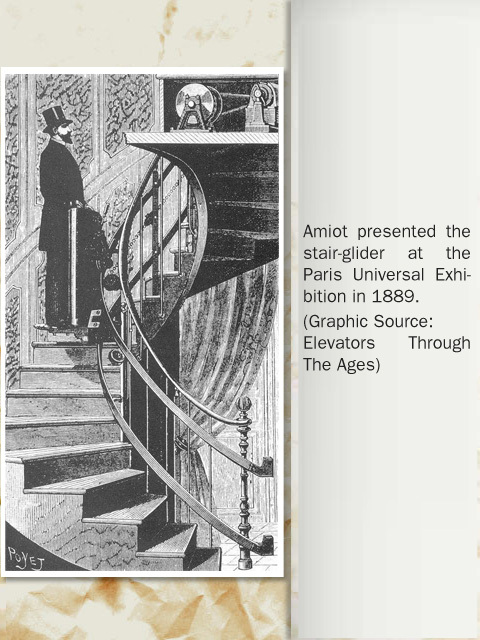 In many instances, the new motor would drive pumps, and the elevator would continue its water hydraulic operation. 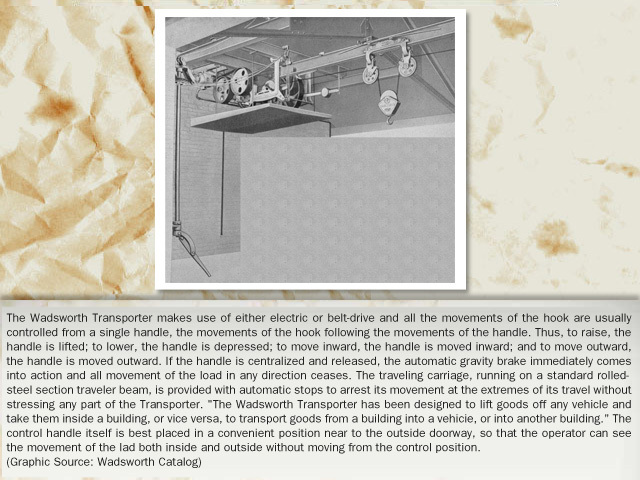 In other installations, the motor would be bolted to the ceiling, or the floor, and the driving belts merely slipped over a pulley on the motor hub. 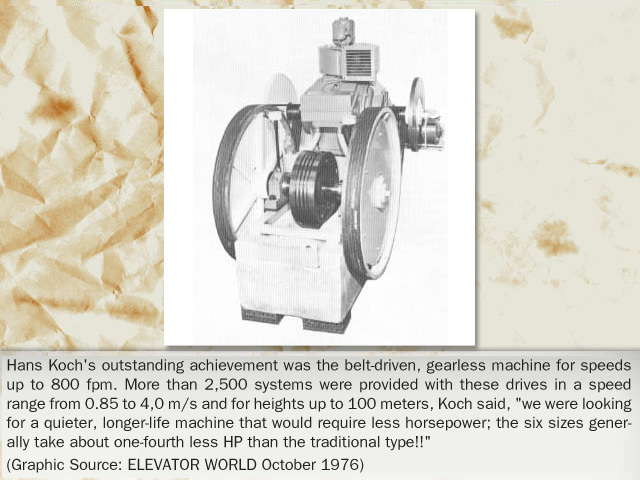 A system with a continuously running motor would leave the belt-shifter operational, whereas the use of an electric reversing control switch would eliminate the belt-shifter and change the direction of motor rotation to take the elevator up or down. 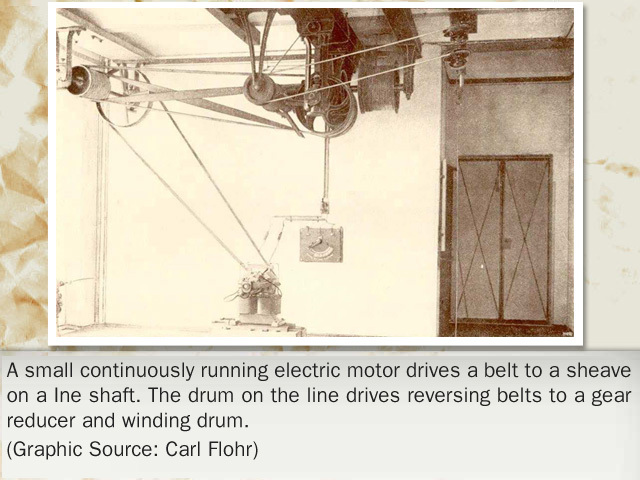 Electric engineer and inventor Frank Sprague, a highly successful manufacturer of motors, sought to merge the electric motor with a screw drive and roped sheaves, being of the opinion that such a system provided the proper role for electricity in a high-rise building, assuring greater safety than the limited number of hoist cables on the drum machine. 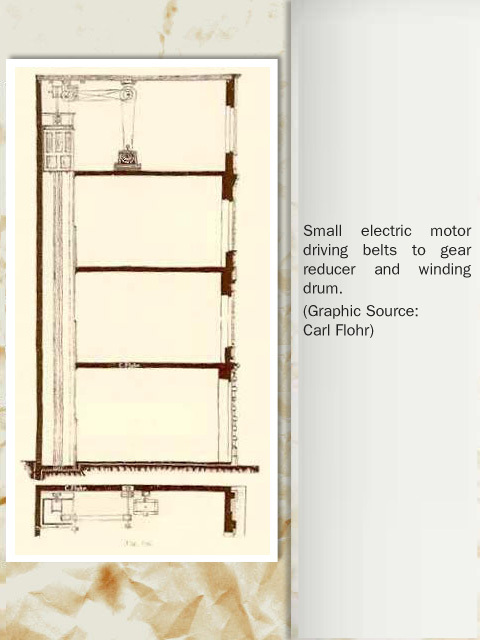 His electric screw mechanism drove the sheaves and preserved the multiple hoist ropes for high-rise operation. 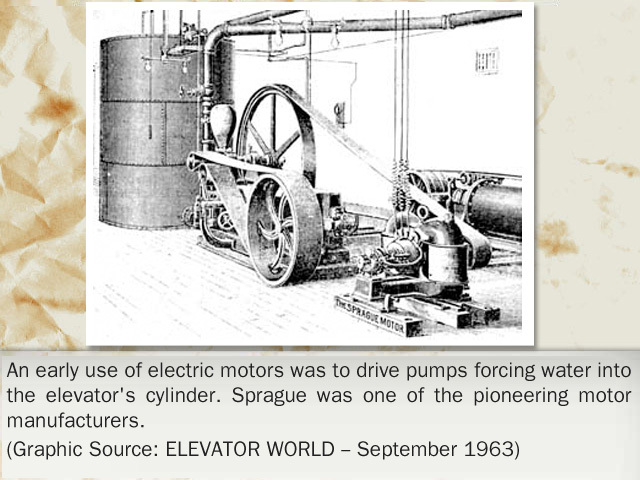 Sprague's promotion of electricity to the traditional roped hydraulic was the last hold-out before direct drive drum and traction electric drives took over the market. Sprague's unique approach is depicted in the next gallery -- "Electric Screw and Other Special Electric Drives."